I would like to thank everyone for all their best wishes but want to let everyone know that I have had to withdraw from the internship in Houston. I will be taking the summer to spend time with my family and will be returning in September on a part time basis. I would like to take this opportunity to let everyone know that I will be leaving Bloor Animal Hospital as of June 22, 2014. I am very excited to be starting an Internal Medicine and Critical Care Internship at Gulf Coast Veterinary Specialists in Houston, Texas. I am looking forward to this new challenge and to starting a new phase of my career but at the same time I am sad to say goodbye to all the people and the pets that I have had the pleasure to meet at Bloor Animal Hospital. 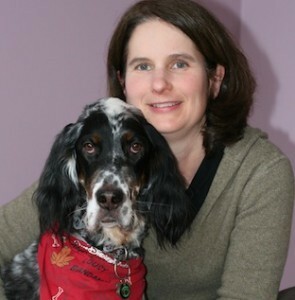 I started at Bloor Animal Hospital shortly after I graduated from the Ontario Veterinary College in 1997. I have had the privilege to care for your pets from their first visits as puppies and kittens through their middle and senior years. Sadly in many cases I have been with you as you have said goodbye to a much loved friend. I would like to thank you for letting me be a part of your lives and entrusting me with the care of your furry friends. I would also like to thank all the staff past and present with whom I have worked. You have made my time at Bloor both enjoyable and rewarding. Many of you have been like family. The team members at Bloor Animal Hospital are some of the most compassionate and caring people I have met. They consistently go above and beyond to provide exemplary patient care. Last, I would like to thank Dr Suzy Lyons and Dr Ted Morris with whom I have had the good fortune to work. They are outstanding Veterinarians and will continue to provide exceptional care to all the patients at Bloor Animal Hospital. for helping to make the clinic the wonderful place that it is. I will miss you all and hope that our paths may cross again in the future.